In a back alley brawl, "Decide" is going to win out over "Hope." Hoping, wanting, dreaming, wishing, pleading, begging, whining, hoping. These are just a handful of the actions you undertake, whether consciously or unconsciously before you decide. I often think in mathematical terms, charts, and line graphs. I see all of those actions or beliefs or thoughts as heading downwards. Sure, you might think that hope is ascending in that you are hoping for something better what sounds pretty much like ascending to me, but I see it as a short-term ascension. If you’re only hoping and hoping and hoping there is no plateau there is no resting place summit of the mountain where, guess what, you make the decision to then either stop or descend or ascend. Maybe this is only my personal interpretation of the word but I see hope, again if you allow me to use something like a line graph, as somewhere way down there. It’s more of basic needs or survival or crawling out of desperation than it is ascending from, let’s say, a four to a six or an eight to a nine on a scale of 10. Hope, in terms of numbers, is something that I see as low down possibly even in the negative, let’s say from minus two to a plus one. Don’t get me wrong, a minus two to a plus one is an increase of three and also pulling us out of the negative. But this is where I no longer want to use hope as my ladder but move on to more efficient, effective, uplifting, and positive means of ascending further. Hope is the kindergartner who dreams of playing kickball at recess. The decision, which can either crush or enlighten, comes from the teacher who tells the children what the game of the day is. Although possibly a bit of a stretch, the decision could be made by the kindergartner who chooses to create his own kickball game after school on his own terms. Hope, therefore, can be a good place to start but is a stepping stone and not the goal. Hope might open up the door to the next level of understanding and action which then could very well be the decision to decide. re53: You need a team? We are the team. re47: 10 years from now, what will you wish you had done Every Single Year? re46: Ask: I’m so glad you asked that question. I had that question too. re39: Take responsibility or play the victim. It’s usually up to you. re38: Up for a challenge? re36: If you do not create it, they will not come. re34: You want to invite your child into your world. But how? re33: What if we counted using a different measurement? re32: The book together with the kids isn’t the thing. re28: Math with a 14-year-old son, storytelling, and a pitch-black darkness in the forest. re25: What was that tingle in the hairs on the back of your neck? re23: When you talk to your friends, do you usually bring up the Regret Minimalization Framework? re18: Where do you find inspiration? How do you then set it free? re15: The difference between a mediocre audiobook reading and an excellent one? Performance. re05: John Muldoon on how alpacas can help with audio production. re04: If you change just one person, do you make a tiny change in the world? re02: So you’ve achieved your goal. Yay! Now what? 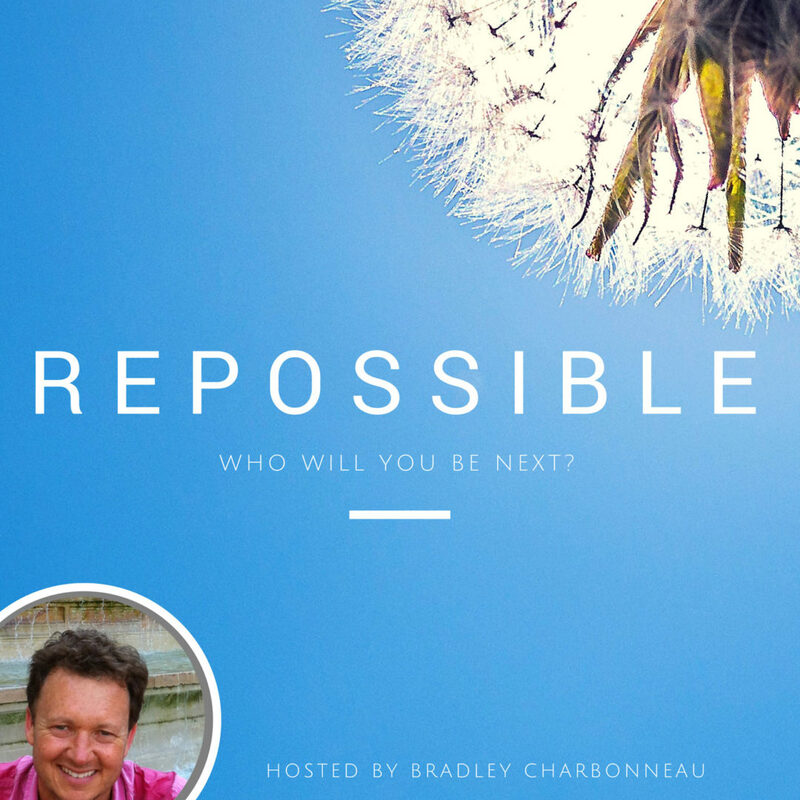 re01: Welcome to the Repossible podcast!